Kannada film industry's most revered acting sensation was the versatile and charismatic Dr. Rajkumar. In a career that spanned over 50 years, he won hearts with his spectacular acting and singing skills. He acted in over 200 movies which earned him tremendous recognition and awards. Dr. Rajkumar was born in a small village called Gajanur in Tamil Nadu as Singanalluru Puttaswamayya Muthuraju. 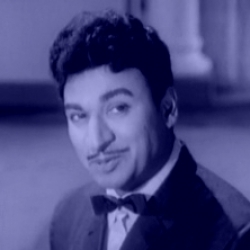 His father was a popular Kannada dramatist and Dr. Rajkumar kick-started his career in his father's troupe. His first break in the film industry was in 1954 when he bagged the lead role in the movie Bedara Kannapa.  That's where he was launched in his new avatar as Rajkumar, the Prince. His most remembered films which won him tremendous acclaim are Bhakta Prahalada, Kastoori Nivasa, Bangarada Manushya, Daari Tappida Maga Kula Gowrava, Sri Krishnadevaraya, Akasmika, Jeevana Chaitra, Bhagyada Lakshmi Baramma, Apoorva Sangama, Premada Kanike, Sampathige Sawal and Gandhada Gudi. Dr. Rajkumar was also a producer of many films. His roles as Shankar-Guru and Kaviratna Kalidasa are still talked about in film circles and considered his finest performance. He was graced with the Padma Bhushan, Dada Saheb Phakle Award and Karnataka Ratna Award for his magnificent contribution to the world of cinema. He has also won the National Award for singing. Be it mythological roles, action or comedy, Rajkumar was idolized by millions of fans for beautifully essaying different characters with great ease. Apart from his acting, he is also remembered for a dreaded incident where he was kidnapped by terrorist Veerappan from his farmhouse at Gajanur. After 108 days of captivity, he was finally released, much to the relief of his fans.